Other Conditions: In accordance with WTO Staff Regulations and Staff Rules and WTO Pension Plan Regulations. The World Trade Organization offers an attractive compensation package including an annual net salary (subject to mandatory deductions for pension contributions and health insurance), dependency benefits, pension plan, health insurance scheme, separation grant and 30 days annual leave. Benefits for internationally recruited staff may include travel and removal expenses on appointment and separation, installation grant, education grant, rental subsidy and home leave. Additional information on the compensation package is provided on the WTO website: http://www.wto.org/english/thewto_e/vacan_e/comp_package_e.pdf. The Secretariat of the WTO is seeking to fill a position of Legal Analyst within the Trade-Related Aspects of Intellectual Property Rights (TRIPS) and Intellectual Property Group of the Intellectual Property, Government Procurement and Competition Division. General Functions: Under the supervision of the Director and other senior professional staff, the incumbent will have primary responsibility of focusing on the law of intellectual property, on the law of the WTO Agreement on TRIPS and related international conventions, and on legal, economic and policy issues concerning intellectual property within the international trade system; the incumbent may also assist in selected aspects of competition policy and government procurement. 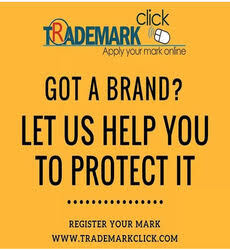 1.Undertaking legal, economic and policy analysis and research, contributing to and drafting briefing, technical assistance, outreach and analytical materials in the area of intellectual property, TRIPS Agreement and related areas; and providing legal analysis and background research for dispute settlement panels. The incumbent will contribute to the development of a systematic institutional information resource on the jurisprudence of the TRIPS Agreement and its implementation in the laws and legal systems of WTO Members, and will contribute to research and analysis on the interplay between the economic dimension of intellectual property, legal aspects of intellectual property law, and the law and economics of international trade. Additional responsibilities will include technical and analytical support on other trade policy issues addressed by the Division and their interaction with cross-cutting issues such as public health, development and the environment. 2.Contributing to the substantive, diplomatic and procedural aspects of the preparation, conduct and follow-up of official meetings, including those of the Regular and Special Sessions of the WTO Council for TRIPS. 3.Contributing to the processing, collation, improved management, and analysis of notifications of intellectual property legislation and measures, and other monitoring and trade policy information in the area of intellectual property, and in upgrading and improving usability of related information bases, notification gateways for Members, and related information tools managed by the Division. 4.Contributing to, and developing, tailored, empirically based studies and training materials for technical assistance and training missions in the field of intellectual property law and policy, with a particular focus on enhanced use of WTO notification and review materials; participating in seminars, symposia, workshops and intergovernmental meetings on related topics both inside and outside the Organization as required. 5.Under the supervision of more senior professionals, providing advice and information on intellectual property and TRIPS Agreement matters to WTO Member delegations, Secretariat colleagues, WTO senior management and other intergovernmental organizations; responding to requests from both within and outside the Secretariat for advice and assistance on the law, economics and policy of intellectual property matters. 6.Assisting with responses to requests by members of the public for information, and assisting in the on-going maintenance and upgrading of the WTO website in the area of TRIPS. 7.Deepening expertise in technical subject-matter relating to the work of the Division, with a strong concentration on the legal, economic and policy dimensions of intellectual property, based on a thorough understanding of the law. 8.Providing support to the Division’s outreach activities, through preparing presentations, briefings and various forms of written materials. Education: Advanced university degree (or basic university degree combined with professional qualifications equivalent to an advanced university degree) in law with a specialization in intellectual property law, including its international and domestic dimensions, with preference for a published record of research experience and knowledge of economics related to intellectual property. Familiarity with the law, policy and institutional context of international trade and and familiarity with the multilateral system are also desirable. Knowledge and skills: Evidence of a wide-ranging interest in and knowledge of the legal, economic and policy dimension of intellectual property and its relationship with international trade; a demonstrated capacity to undertake analytical research of a high standard suitable for publication; and a proven ability to write well, accurately and clearly, including on technical subjects for a non-technical audience. 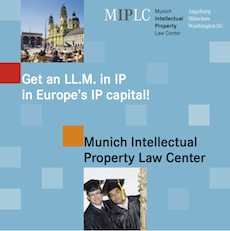 Knowledge of the legal principles of the intellectual property system and the multilateral trade law system, and in particular of the TRIPS Agreement and other international intellectual property instruments. The position requires the following interpersonal capabilities : ability to persuade others to a point of view using facts; ability to present technical facts to knowledgeable specialised audience; capacity to face and cope with conflict situations with colleagues in a multicultural context; ability to work as a member of a team, relating to others, while working independently to achieve individual objectives; ability to relate to and build relationships with colleagues; and capacity for tact and effective oral communication in a multicultural and international setting. Work Experience: Minimum two years’ relevant professional experience in the law, economics and/or policy of intellectual property, preferably within an international trade setting and with a strong preference for at least some exposure to the practice of law in this field. Languages: Excellent command of English, both oral and written. Good working knowledge of one or both of the other WTO languages (French and Spanish) would be an asset. Additional Information: Only applications from nationals of WTO Members will be accepted. The WTO may use various communication technologies such as video or teleconference for the assessment and evaluation of candidates. The recruitment process may also involve the use of various forms of testing, assessment centres, interviews and reference checks. Candidates not selected whose performance in the selection process nevertheless shows them to be suitable for a similar position may be kept on a roster for up to 18 months, and may subsequently be called upon as and when the need arises for additional resources. APPLICANTS MAY BE REQUIRED TO SIT A WRITTEN EXAMINATION. Please note that all candidates must complete an online application form. To apply, please visit the WTO’s E-Recruitment website at: erecruitment.wto.org. The system provides instructions for online application procedures. All applicants are encouraged to apply online as soon as possible after the vacancy has been posted and well before the closing date – Central European Time (CET) – stated in the vacancy announcement. PLEASE NOTE THAT APPLICATIONS RECEIVED AFTER THE CLOSING DATE WILL NOT BE ACCEPTED. To apply for this job please visit erecruitment.wto.org.